Salil Chowdhury, noted poet, musician, lyricist, thinker is one of the most renowned intellectuals who had glorified the Silver Screen (both Bollywood and Bengali Cinema) with his stories, poetry, lyrics, dynamic musical compositions in the 50s, 60s and 70s. He was a member of the IPTA, an organisation which has been an instrument of public awareness during the pre-independence and post-independence period. Salil Chowdhuryâ€™s story was picturised under the title Do Bigha Zameen, in 1953, depicting the struggle of a farmer of a village in coming to urbanised city of Kolkata and earning his livelihood as a rickshaw-puller, which had brought national and international awards for the story, direction of Bimal Roy and other categories. 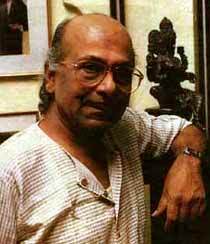 The poetic and literary skills of Salil Chowdhury had synchronised with his east-west blend of music in most of his creations. Best example can be â€œUjjal Ek Jhak Pairaâ€ sung by Classical Bengali singer, Sandhya Mukherjee. It was written by Bengali poet, describing the flight of pigeons and Salil Chowdhury composed the upward and downward movement of the song in the same lines as the pigeons fly in air. The literary society in Bengal were flabbergasted with the composition of Salil Chowdhury with the translation of famous poetry titled â€œRunnerâ€ (postman) written by Sukanta Bhattacharya, the way the movement in music changed with the moods of the postman delivering mails on road. Other landmark musical creations of Salil Chowdhury include â€œPalkir Gaanâ€ written by famous Bengali poet Satyendranath Dutta and sung by Hemanta Mukherjee. While bringing in revolution with words and music in Bengali modern songs Salil Chowdhury went to Bombay with his treasure of knowledge. Very interestingly the song â€œapni kahaniâ€ in Do Bigha Zameen, 1953, sung by Manna Dey had been based on Russian processions. While using Mukesh in a number of songs in Raj Kapoorâ€™s Jagte Raho, 1956 and Dilip Kumarâ€™s Madhumati, 1958, Salil Chowdhury acknowledged the versatile talent of Mohammad Rafi, the man with the golden voice. Salil Chowdhury created a Choir Group in Bombay, where Rafi, Lata were all members. Probably Madhumati, showed the range of music composition of Salil Chowdhury, where he got an opportunity to blend the flavour of music in the hilly regions.1 The songs for Rafi included â€œJangal Me mor Nacha kisi ne na dekhaâ€ for Johnny Walker. But Salil Chowdhury reserved the best song in the tragic andaz for Rafi titled â€œtute hue khwabon neâ€. The pathos in the role of Dilip Kumar was depicted by the serene performance of Rafi. Salil Chowdhury also used Rafi in the film Maya. The song â€œTasvir teri dilmeâ€ which was a duet song with Lata Mangeshkar was very big hit. The other song of Mohammad Rafi included â€œKoi sone ka dilwalaâ€ which was also successful. Rafi was used in the film Musafir, 1957, where his songs along with Dilipkumarâ€™s own song â€œlagi naahi chute rama, chahe jiya jaeâ€ showed the tragedy of Dilipkumar who had provided his immortal performance as a poor wretched violin player, who could not marry Usha Kiran, but played the violin for a handicapped child, not knowing his son, and dying at the end of the film. It was the beginning of journey in film direction of Director Hrishikesh Mukherjee. Salil Chowdhury also used Rafi in the song â€œinsaan ki zindagi haiâ€ from the film Jhoola, 1962. There was also a chorus song of Rafi and Lata, â€œaag pani me lagiâ€. There was a song â€œdil tarpe tarapaeâ€ for Rafi in the film Poonam ki raat, 1965, and â€œtumhe dilse chahaâ€ in the film Chand Aur Suraj, 1965. Besides Rafi was given an Afghani song â€œho ya qurbanâ€ in the film Kabuliwala, 1961, in which Manna Deyâ€™s song â€œai mere pyare watanâ€ was also a big hit. At the same time Salil Chowdhury had encouraged new talents in Bombay and allowed noted Bengali singers to flourish in the all India arena, examples include Shyamal Mitra in the song â€œEk aye ek jayeâ€ in the film Musafir, 1957. He also composed songs for Dijen Mukherjee, Subir Sen and other singers for Bollywood films. In Bengali films like Ganga, 1960, Kinugoalar Goli, 1964, Lal Pathor, 1964, Marjina Abdulla, 1976, Salil Chowdhuryâ€™s music amazed the listeners with folk songs and westernised tunes. Besides his basic compositions for Monobendra Mukherjee, â€œAmi parini bujhite pariniâ€, Dhanonjoy Bhattacharya, â€œJhanana Jhanana Bajeâ€, Krishna Gangulyâ€™s â€œDakhina Batashe Mono keno Kandeâ€, Sandhya Mukherjeeâ€™s â€œSrabon Ajhor jhoreâ€, shows his control over Hindustani classical compositions. It is difficult to highlight the contribution of Salil Chowdhury in a short article, because he had created immense number of immortal poetry, prose, songs, music in Bengali, Hindi, Malayalam films in a span of 50 years. But his admiration for Rafi is evident in the rich compositions. So Rafiâ€™s archive should be adorned with Salil Chowdhuryâ€™s compositions to mark their fair relationship. 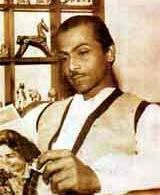 1 Salil Chowdhury received Filmfare award for best music in the film Madhumati in 1958. 2 Salil Chowdhuryâ€™s Assistants like Probir Majumdar, Anol Chatterjee, Abhijit Banerjee, became legendary Music Directors in Bengali Modern Music in later years. 3 My father, Chitta Ranjan Chatterji, Ex-chief Public Prosecutor, Bankshall Court, Kolkata, had interviewed Abhijit Banerjee, renowned Music Director who had composed Bengali modern songs like â€œmuktojharar neiko konya neiko motir haarâ€, â€œjodi amake dekho tumi udashiâ€ for Manobendra Mukherjee, who said Salil Choudhuryâ€™s most of the creations are based on scientific, logical justifications of lyrics and tunes, which only a small section of the listeners understand, giving example of song â€œdhitang dhitang boleâ€ which was based on Caribbean Calypso. This entry was posted on Saturday, October 6th, 2007 at 6:38 pm	and is filed under Meri Awaaz Suno. You can follow any responses to this entry through the RSS 2.0 feed. You can leave a response, or trackback from your own site. I/m an ardent fan of the musical genius of Salil Chowdhury who was not an ace composer only but also a poet par excellence. As an artist he was unbeatable, a class of his own but as an individual, God knows he could go along Mohd. Rafi, who was another gem in human body, arguably the best male playback singer the Hindi film industry has ever witnessed. I read an interview of Lata Mangeshkar in which she explained how Salil Da got angry at Rafi Saab the stanza of “Tasveer teri dil mein” from Maya. Perhaps Rafi Saab was not able to follow the instructions. But He maintained his cool and politely asked Salil Da to explain once again and this was the final take when Rafi Saab performed all subtle harkatein (gimmicks) even beyond the expectation of Salil Chowdhary, he was stunned by Rafi Saab’s performance. These are not my words, but as spoken by Lata Mangeshkar to the interviewer. Anil Biswas was another example of height of arrogance, who summoned Rafi on several occasions gave him songs to practice and even dubbed in his voice but later recorded the song in the voice of some other male singer. It was the greatness and humility of Rafi Saab that he never asked Anil Biswas about this. Should we believe that Rafi was scared of asking Anil Biswas that if ever he would ask Anil Biswas he would be boycotted by other composers. The answer is abig no. There was no replacement of Rafi during his hay days in late 40s, 50, and throughout 60s. I too am from kerala.. hear both jayachandran and yesudas as well as to TMS, SP, Gantasala, sreenivas, etc in southern films , Yesudas and Jayachandran consider Rafi as their idol and Mannadey a contemporary of all the singers during rafis time and 30 years after Rafis death, says ” he is a better singer than me and i can say this nobody ever close to him” .. ‘Rafis range cant be matched by any one’ Laxmikanth pareylal says. “It is the voice of god” says shankar Jaikishan . Sonu Nigam says “If any body try to compares rafi saab to any singer that person dont know music and god did not give that person a good year”. To me too Rafi first and then Mannadey are way ahead of Jayachandran and Yesudas, aswell as the others,thus supporting Mannadeys view of Rafi. Indeed the malayalees are fantastic singers . I have heard YesuDas and Jayachandran too talking on those lines in TV interviews… Yesudas also attempted singing Rafis”Man tarapat hari darashan ko aaj( baiju Bawra song )” on a stage recently, shows his respect for Rafi .. ..
i am from Kerlala , i am an ardent fan of Mohammed Rafi sir.Infact i am really satisfied in that i have heard thousands of his songs.songs like ‘baharo phool,tere mere sapne, teri aankhon ke,kabhi tera daman na,mera mann tera etc gives me heavenly pleasure to my ears when ever i hear these.But at the same time i feel it is a patial view to declare that Rafi sir is unarguably the best.Being from Kerala I have heard lots and lots of songs of shri: Yesudas and shri: Jayachandran, the two premier singers from my state and two of the best singers in South India.having heard all the three, i feel all the three singers are on a par with each other.While Rafi sir has sung about 5200 songs, Yesudas sir has sung almost 45000 songs. Jayachandran sir has sung more than 8000 songs.So it is quite natural to assume that both shri :Yesudas and shri: Jayachandran would have sung all genre of songs.Frankly i have heard all genre of songs of these 2 great singers too. Also they too posses a mesmerising bass sound as Rafi sir. My point is one can authoritatively select 1 singer as the best, if he has heard and analysed all kinds of songs of all premier singers past and present. Other wise what is the sense? a person who thinks of Mohd Rafi as over-rated shows only his own ignorance of music. While Hemant Kumar has a soft melodious voice, comparing him to Mohd Rafi is like “suraj ko diya dikhana”. Rafi is incomparable and always will be. His range, his mellifuousness, his heart warming singing are unmatched. Other singers you listen to with your ears, Rafi makes you listen with your heart. Stop making anti – bengali comments. Mohammed Rafi is too overrated a singer. His voice wouldn’t match in the playback singing of Bengali Films just as Manna dey was super-flop barring a few hit songs when Hemanta Mukherjee didn’t playback for Legendary Actor Mahanayak Uttam Kumar as they had some misunderstanding which was later removed. The choice, taste of Hindi song listeners are always lower than the choice of Bengali song listeners. When Rafi Saab sings, he always tried to put classical stuffs to the music. In a cinema, an actor will sing exuberantly not with classical overtone. But the idiot Hindi listeners will not understand this. They will always turn their ear to Rafi, not even Talat. Whenever I hear Rafi’s songs, I feel so boring that I tend to sleep. That is why I never attempted to collect songs of Rafi. Why I don’t like the song such as “Baste Baste Jar Pake Jar Pake Jata Jaye Banjara, latar dilka istara”. I would rather listnen to the sweet melodious voice of Hemant Kumar “O Neend Na Mukhko Aaye”, Ye Jumte Nazare”, “Jab Jag uthe Arman”, “Ghirado Parda Ye Khubsurat” – just to name a few. Souvik it is very enlighted article about the relationship of two legends. Your effort for this article spellbound me for sometimes. I am in search of the hindi version of salil chowdhury song “Sona Rode Jilmil Jilmil”, but having no clue. Souvik Chatterji’s article on Salil’s relationship with Rafi made very interesting reading. Rafi’s songs in Maya ” tasveer teri” and ” Koi sone ka dilwala’ are really marvelous. I am an ardent fan of Salil Chowdhury and his music, whether Hindi, Bengali or Malayalam, enthralls me all the time. I would like to know more and more about Salil through the articles from Souvik. Salil Choudhury was sublime in all his creations for the film Kabuliwala. Rafi’s song “ho yah qurban” was based on tunes of Afghanistan and Rafi adapted himself to the difficult tune. “koi sone ka dilwala” was extremely melodious and became one of the biggest hits of the year. The film Maya itself was successful and Salil Choudhury and Rafi combination contributed for the success of Dev Anand and Mala Sinha in the film. What a fantastic post you have written. Your list clearly shows that Dada created much better songs for Lata than Salil. Look at the range and variety in your list, absolutely excellent. Number 15 on your list is not only special for its tune, singing and tabla, but look at the way Dada starts off the song with western instruments and then proceeds to add indian elements after (i.e the sitar) after, and then in the first interlude there’s the electric guitar, very haunting and well done. A combination of the east and west, fusion at its best, and it also shows Dada was great at it as well. Number 12 on your list is one of my favourite Lata compositions, the melody, orchestration, singing is fantastic. The whole Talash album was a winner all the way. The discussion regarding Salil Chowdhury and Sd Burman went in the wrong direction, I have talked about casting and synchronisation of lyrics with melody where Salil Chowdhury’s academic excellence puts him in a separate category. Returning back to Rafi, he used to mark and understand the film sequence better than other singers before making playback. An example in Bheegi Raat, after the last paragraph of the song dil jo na keh saka, Meena Kumari left the hall in wheelchair. Roshan just played the tune, Rafi returned back with wohi raaze dil in a way showing his exclamation that Pradeep Kumar was wondering where had Meena Kumari gone. With the demise of Rafi, Roshan and their team these creations cannot be repeated again. You are absolutely right, Mr. Haldar. Lata does give a good competetion to Rafi. I love both of them but I am partial to Rafi Sahab. Other singers, no matter how good they are, do not come anywhere close to the legend. myk, sorry for the delay in responding. I was waiting for the bajrang dal type activism that was going on this forum to subside; one of the jokers has written an article on another forum that will put even the best conspiracy theories to shame. Anyway, here’s a list of 17 Lata songs under SD’s baton, which I consider to be a sample of their best work together. You can add another 10 without sacrificing any quality, such was the magic they produced together. Please note that they didn’t work together for 5 years but see how Lata bounced back immediately with nos. 4 & 5 after they patched up, thanks to the services of chhote nawab. No. 4 was composed in the bengali kirtan style, akin to geeta’s “aaj sajan mohe ang laga lo” in pyaasa, and No. 5 is reminiscent of geeta’s “jaane kya tu ne kahi” from the same film. If no one told you who the composer for no. 6 was, whom would you suspect? Salil, right? No. 7 is an all-time favourite of so many film and music personalities that I can’t list them all. Only thing to note is that in the same film, Dada produced no. 8, which marked the beginning of the feminist movement in hindi films. In a Lata concert that I attended a year after Dada passed away, this was her opening song, sung in his memory. Nos 8 to 14 can be aptly termed as “magic” with the unlucky no. 13 encapsulating the Dada-didi magic to perfection. This forum is for Rafi saab’s fans and so folks might be wondering why I’m singing in praise of the nightingale. Well, there are two reasons. First, to point out to Souvik, that with Salil’s favourite and only real weapon, Dada created better magic (in hindi films). And, second, to point out to fellow Rafians, to stop targeting Kishore, because the real battle is elsewhere. Between the two tallest titans the music world has seen. Salil Chowdhury hardly had any affiliation towards blindly backing up playback singers even if they had regional background. Lata’s extraordinary association with him include songs like “aja re pardesi”, “daiyare daiyare jangal papi bichuya”, “jare, jare ur jare panchi”, “jago mohan pyare,” etc. Another factor I did not reflect in my writing, that is Naushad or Shankar Jaikishan were absolute admirers of Rafi, in fact Naushad was also Rafi’s creator, but they were spot on their casting of singers, where there was no compromise. Naushad inspite of giving Madhuban me Radhika nache re in Kohinoor, 1960, used Bade Ghulam Ali khan in Mughal -i-azam, 1960, the producers did not have the capability of thrusting singers on these giants. Shankar Jaikishan sued Rafi’s clasical andaz in awaaz deke hume tum bulayo or ajahu na aye balma, swasn buta jai, but used Bhim Sen Joshi and Manna Dey in Basant Bahar. Producers digested SJ’s choice because they knew their expertise commanded regard and respect. Souvik Chatterji. Inspite of making adverse comments on Sd’s casting of singers, his singing capability has not been glorified in my writing.I were addressing all india forum. Sd’s own basic discs, ami chinu eka, tajmahal, ghum bhulechi, mono dilona bodhu, barne gandhe chandhe geetite, bashi shune ar kam nai, alo chay dola utala, are masterpieces. I cant translate the bengali version to the all india listeners, nor can explain the passion with which sd had sung them. When I make adverse comments on his casting, it hurts me that a man with such classical and folk skills could utilise only 50% of his capability due to wrong casting. myk, you’ve provided a wonderful output of songs from the Salil-Lata combo. As always, I am amazed at your knowledge level. I’ll wait for Souvik and others to revise the list before I provide my 10 best SD-Lata songs. Souvik, I’d urge you to seriously study the history of hindi film music before making unfounded statements. SD’s innings with Kishore had started much earlier than with Rafi’s; in fact, SD was using Kishore when most md’s, including your favourite Salil, did not even consider Kishore to be a singer. Some of the films that you mentioned, like Funtoosh, Munimji and Paying Guest, were made before Rafi entered SD’s orbit. SD’s relationship with Rafi started sometime in the mid 50s, but in a really big way with nau do gyarah and pyaasa in 1957. In the 1947-57 period, he had already created major hits with Geeta (Mera sundar sapna beet gaya), Manna (Upar gagan vishal), Lata (Thandi hawayen lehrate aaye), Kishore (Jeevan ke safar mein rahi), Talat (Jayen to jayen kahan) and Hemant (Teri duniya mein jeene se). In short, SD was already a hit md before his relationship with rafi began. As much as I respect your views on Salil — and I also love his music — there will be very few takers on your views of him vis-a-vis SD. Let’s not bring Salil’s bengali oeuvre here and focus only on hfm. SD, along with Naushad and SJ, will remain one of the three greatest md’s the film world has seen. I’ve talked with enough knowledgeable people to realise that most pick one of them as the greatest ever md. And when you talk about playback, very few md’s understood the idiom better than sd. I am totally surprised that you consider one of his major strengths to be his weakness. Genuine Rafians might not go gaga over SD the way they go over Naushad, SJ or LP — the reasons are understandable — but deep inside they know that the SD-Rafi combo was one of the best ever to happen in film music. Listen to Yeh duniya agar mil bhi jaye to kya hai and Din dhal jaye and tell me if playback singing can get any better. Unlike some enthusiasts, I don’t maintain any databases, so I might make an error or two in reporting. But check it out for yourself and let me know who were the favourite singers for SJ, Madan Mohan and Roshan — all considered to be Rafi loyalists — till around 1955. And then check out what happened in the 1955-60 period with these md’s — they, along with sd, switched en masse to rafi. This didn’t happen in a vacuum; there was one md who sent shivers down the spine of every other md, the man who fixed Rafi’s voice on Dev, on Shammi, Johnny Walker and, yes, on Kishore. If you are a true Rafian, you should do some serious analysis before making the kind of statements you are making. You have written some very good articles on rafi saab’s association with a host of md’s, and that’s why I’m responding to your posts, so I hope you’ll take in that spirit. When I mentioned that I sometimes feel Salil is over-rated I meant in the sense that he is still held in high regard to the likes of SD, MM, SJ when they produced in my view better music than him. Also, take for example his Lata songs. True Lata’s songs for Salil are excellent, but take those three MD’s I just mentioned, as well as others like LP and RD etc., and I feel they created better songs for Lata than Salil did. Yet, many a times I see the Lata-Salil combo getting put ahead of everyone and hyped to a big extent. Even with that I still find their combo excellent (as I mentioned above), and Hemant Kumar also created wonderful songs for her, he was another master, his tunes were fantastic, remember Rafi’s “Tera husn rahe” from Do Dil. The argument here is that SD failed to give folk-type songs to Rafi. If you look into their combination (SD-Rafi) there are many examples of songs in the folk genre or being influenced by folk music. That was an SDB fort, and Haldar-ji, even though Salil was a master at western classical music, I feel SDB was also strong on that front and was also great at using many western instruments as well. There are others that could make this list (the list could keep on changing), but these ten are all fantastic songs. Btw, talking about MD’s, I believe Lata chose SDB to conduct the orchestra for her silver jubilee in 1967, and chose Roshan for her home production that was later shelved. I am looking forward to your list Haldar-ji of the top 10 Lata songs by SDB. If you don’t mind, please make a top 10 for Lata-RDB as well, would like to know your opinion on the father-son and what they composed for Lata. Ofcourse we know Rafi saab was the best when it came to singing songs based on rapidly changing western scales, he proved it many times, so in this case I don’t think Salil knows what he is talking about. I think he had a bias against Rafi which is why he used him so little, yet who could have sung “dil tapa tadpaye”, “koi sone ke dilwala” or “toote hue khwabon ne”. I remember an interview where I believe Salil mentioned if KK had classical training, he could have been as good as Rafi, which is so far from the truth. Anyhow judging from the above comments, he seems to have respected Rafi’s talents, with the “versatile” and “as good as Rafi” parts in his comments even though his comments on western scales is rubbish. I had not talked about composition of folk songs, I talked about casting in respect of Sd. Naushad also gave folk songs like Nain lad jaihe in Ganga Jumna and Rafi had done justice to the bhojpuri flavour. Sd had given likha hai tere ankho me in Teen Deviya, phulon ke rang se in Prem Pujari, with folk effect to KK. There is a limit to love for KK. Sd crossed that limit. There were no pressure from any producer to dump Rafi and use kk in Munimji, Phantush, Paying Guest, Nau do Gyarah, in an age where Rafi was dominating. If anyone pulled KK in the 50s and 60s it was Sd alone. It is better to give 50 songs to Lata in a film than wasting the folk effect to non-classical singers. Sd was very whimsical in casting. For the Rafians, in this forum it is the tragedy that I cant bring out the bengali version of Salil chowdhury’s songs, Salil chowdhury had MA in English, MA in Bengali, and he was the lyricist of at least 1000 bengali songs. Lyrics play a very important role in master creations, and Salil Chowdhury relied on the versatile capability of Shailendra and other genius of Bollywood songs on the hindi songs. Salil chowdhury’s capability of transforming prose and poetry into songs in unthinkable. Sd Burman is no match to Salil Chowdhury if the talents relating to writing poetry, stories, lyrics and composing songs are concerned. It is a tragedy that he did not use Rafi to fullest extent but his composition for Lata can come within the best 50 songs she did sing for any MD. Dear fellow Rafians, I would urge all of you to stop making anti-Bengali, anti-Marathi or anti-Telugu comments. If Rafi saab had been alive, he would have been shocked to hear the kind of rhetoric that is being exchanged on this forum. Please remember that talat, manna, mukesh, hemant, kishore and rafi were the best of friends. Also remember that at this level of competition, you cannot survive unless you are great. To insult any of them is to insult the memory of rafi saab. It is true that once in a while I also get sufficiently excited to make some scathing remarks, especially when visitors from outer space come and make ridiculous comments, but in my heart, I consider all of them to be great. Souvik, I can understand your appreciation of Salil’s music; it is difficult for any genuine music lover not to love the lilting quality of his music. What he has created for Lata is simply extraordinary. But I still fail to understand why anyone should write an article on Rafi’s relationship with Salil; there was hardly any relationship. How many songs can you really identify? rd actually had a much stronger relationship with rafi. Salil may be the greatest talent to come out of Bengal — note that SD came from Tripura — but many would even contest that given there were so many other talents in that state. He was definitely the best in terms of incorporating Western classical music into hindi film music, but if you consider Indian classical music, naushad, sj, sd and roshan were way ahead. Salil’s forte was folk along with gono-sangeet (derived from his involvement in ipta), but even in folk, my view is that sd was superior. In gono-sangeet and western classical-based music, I admit that there is no one close to Salil. I think you are a little unkind to SD. True, SD didn’t use Rafi much in the 70s but as several readers have pointed out, it is not clear if SD was in total control during that period. It is not true that SD ever insulted Rafi; never in his entire life did he say anything untoward. On the other hand, he held rafi in the highest esteem. Salil did use Talat and Mukesh with quite some success (people who comment on Anil da and Salil da’s parochialism should note that neither of these singers was Bengali), but his main weapon was Lata. When Lata was once asked to name her favourite md’s, she mentioned sajjad, mm, salil and jaidev (!). In a later interview to a tv channel, she mentioned the first three names and, when forced to think about another md, she had to think hard to remember sj (!). Now, here’s a teaser for you and everyone else; give me Lata’s 10 best songs for Salil. In response, I’ll give you Lata’s 10 best songs for SD and then let’s decide who created better magic, Salil or SD? I know we are not discussing Rafi saab here, but I’m sure you will pardon me for my excursion.